RCAHMS Argyll Vol 3, 320, 1. Steer & Bannerman No 10. Galley at foot of cross-shaft – going left. Sail set; clear view of how useful the hun-bora was for fixing ropes; at least 16 oar-ports visible so 32 oars minimum. (The Rodel galley had 34). RCAHMS date to c. 1500-1560. 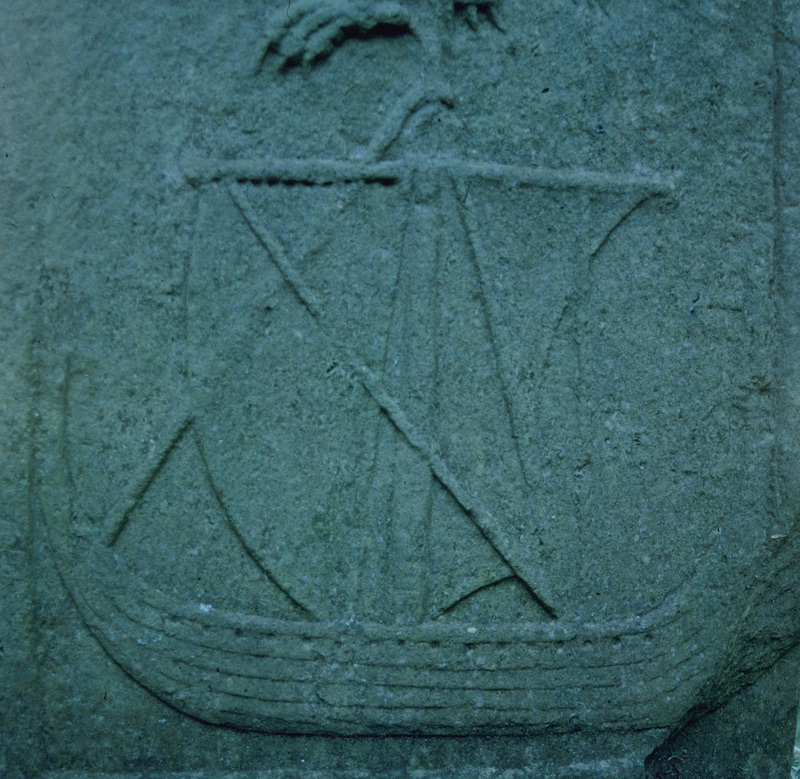 Above the galley is a griffin and RCAHMS point out that this closely resembles the one on the cross of Abbot John MacKinnon on Iona.